With the hype surrounding Bird Box on Netflix, I thought I'd check it out. 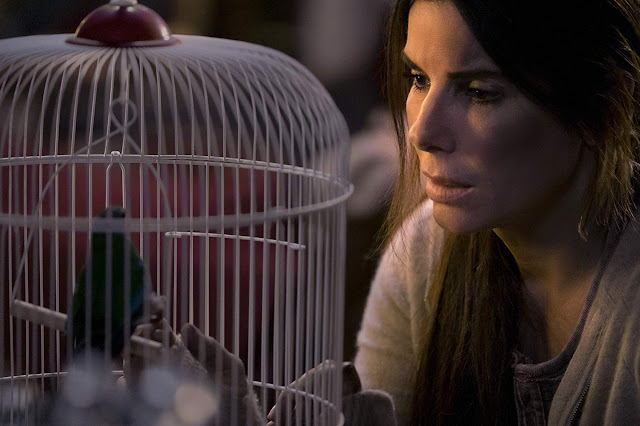 I know some of my friends and horror fans don't like Sandra Bullock so they won't watch it, but I have to say she stepped up and out of the rom-com "box" (see what I did there?) in this movie. It really showcased her dramatic acting. Also, she's either had a lot of plastic surgery, or she's aging and doesn't even look like the Sandra Bullock I remember. The movie timeline flashes back and forth five years. 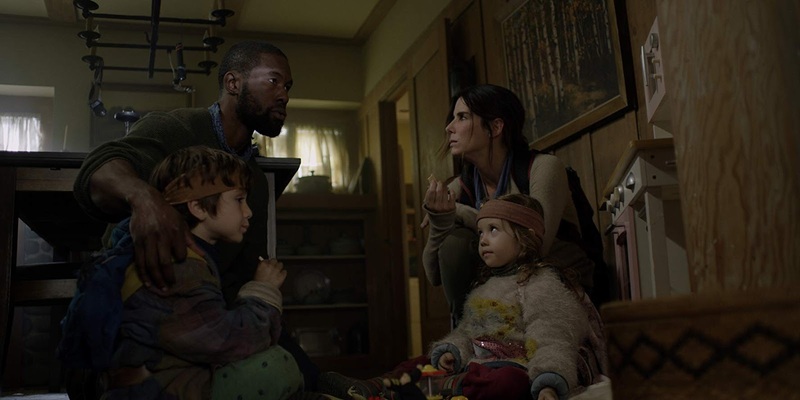 We start at the end where Malorie ~ played by Bullock ~ forcibly warns two kids ~ a boy and girl ~ that they must keep their blindfolds on because they are leaving the house. If they don't they will die. The three of them hop in a row boat, with three birds in a shoe box, and start a two day journey down the river. 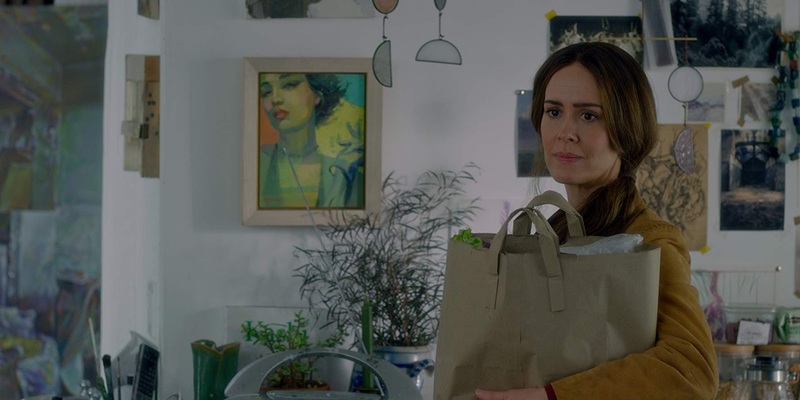 Flashback to five years ago when Malorie is a pregnant painter living alone in her rustic studio and her sister ~ Jessica ~ visits with groceries and tells her about the news. There's "mass suicides" in Russia and the UK. Malorie dismisses it to focus on her OBGYN appointment. She's a reluctant mother, and it's assumed that her old roommate is the father. Jessica drives Malorie to the appointment where she thinks about putting her child up for adoption. 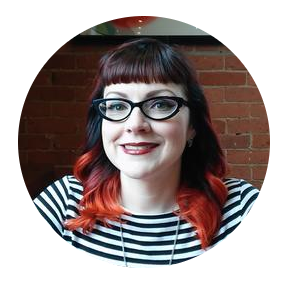 As Malorie leaves the hospital, she sees a woman smashing her head against a window. Then all hell breaks loose! Malorie gets in the car with her sister. Jessica starts driving avoiding cars that are running red lights and purposefully getting into accidents. Total chaos in the streets. Then Jessica sees something and runs her car off the road. It flips over. Both women get out and Jessica stands in traffic to get hit by a truck. It's disturbing imagery since they show the impact as it happens. Malorie is left wandering the road, getting pushed over by mobs of people running until a woman from a house notices she's pregnant and goes outside to meet her. The woman from the house sees her dead mother in a vision (we assume) and commits suicide by going to sit in a burning car. Malorie gets inside the safe house and is taken in by a bunch of panicked strangers with all different backgrounds presumably in the same situation ~ avoiding looking outside. At this point I'm intrigued. It has religious connotations with the world being "cleansed" by other worldly beings? The victims see incredible sadness before they kill themselves. Are they visions? Are the monster just reflecting a person's inner turmoil? It seems there's a darkness and swooping sound along with whispering voices when the monsters are near. Flash forward to Malorie and the kids on the river for 8 hours. She's still rowing. She hears the voice of a man telling her she's safe and can take her blindfold off. He's in the water without a blindfold. She doesn't trust him, never takes hers off and stabs him. So now we know there are people that can still "see" and live. Back at the safe house it's been three days and they are running out of food. Another pregnant woman ends up on their doorstep. It's revealed that one of the people works in a supermarket and has keys to get inside. They divide up, black out the windows in the car and use the GPS to guide them. They stock up on everything and Malorie rescues three caged birds. (Not sure why they are in a supermarket? Seems odd and unsanitary.) There's one casualty and they get back to the house, only to have the car stolen later by a couple in the house. 24 hours on the river (Malorie must have really prepped with a lot of sleep beforehand to keep rowing by herself and to be up for so long!) She hears wind chimes, docks the boat with the kids and goes exploring for supplies. Flashback to the house where they take in Gary who they think is sane but ends up being able "to see it's beautiful, so beautiful...it shall cleanse the world" and kills half of the people staying in the house while both women are having babies at the same time. The survivors are Malorie, the two kids, and Tom. They all become scavengers, Malorie and Tom become lovers and raise the kids for five years. Now the timeline is caught up. 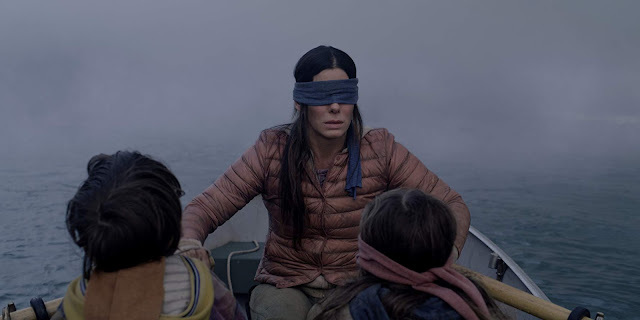 We find out there are people outside that don't use blindfolds and encourage everyone they meet to take them off and see "it's a beautiful thing". While stealing from a house, the family encounters the un-blindfolded and they shoot Tom who then shoots them and himself. Malorie, the kids, and the three birds get away and take the rowboat to a place they hear of on the radio. Two days down the river, through the rapids to a place where you follow the sound of the birds. They surprisingly make it through the rapids, the forest, and the supernatural monsters to this sanctuary in the woods. Ta-da it's a school for the blind! The school takes them in, the birds get set free, Malorie meets up with her obgyn there and everyone is happy now. You never see the monsters. They are never shown or fleshed out, which was the whole reason I was watching AND you never find out why some people need blindfolds and others don't. Are the visions demons to some and angels to others? Not sure. 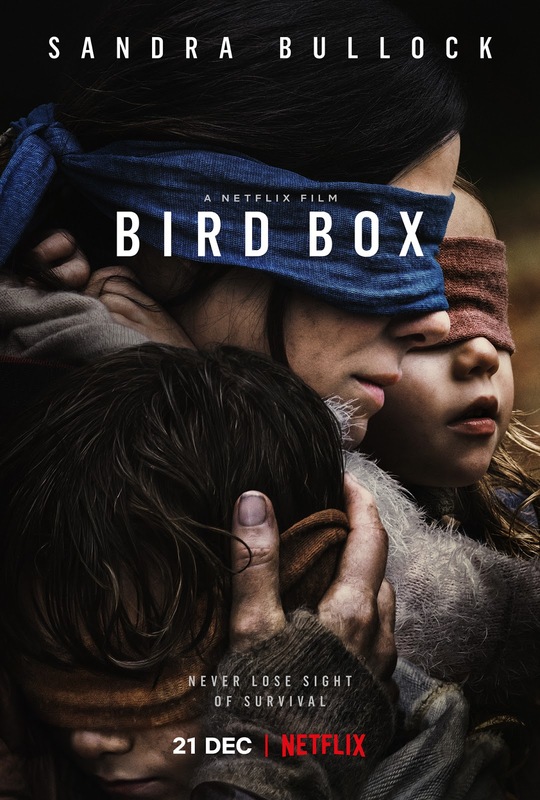 Acting was really good considering the dialog was just ok, the story line was similar to A Quiet Place, the hearing impaired/ blind people come to the rescue of a mom who had to give birth either silently or without looking outside. It has similarities to The Happening, but even then the mass suicides are explained by a natural plague. Not explained here. Overall I'd give it 3.5 birds in a box out of 5....and Ginger was disappointed there weren't more birds in it.